Sadly that is not where my strength lies personally and I have to draw inspiration from many sources and resources. 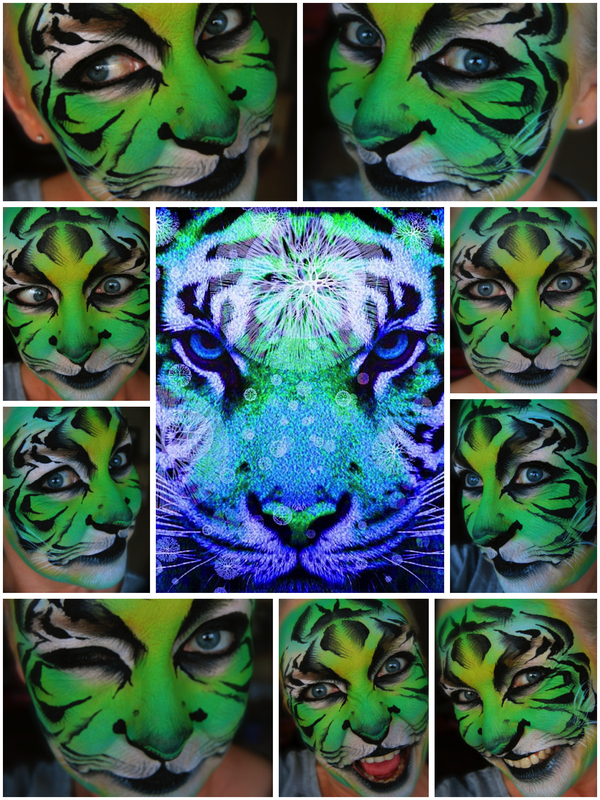 I am never comfortable “winging it” especially with larger projects like bump art and body art – I spend endless, frustrating, often fruitless, hours researching images, testing out ideas and practicing my designs on canvas before transferring them to my models. I keep my eyes peeled constantly when I’m out and about – ideas are out there everywhere – in nature, on wallpaper, wrapping paper, fabric, advertising, flooring etc etc. I often get rather odd looks from strangers when I stop in the middle of a shop to photograph some obscure piece of objet d’art or an intricate pattern hidden in the swathes of gift wrap draped on display in a corner. My phone memory is bursting at the seams with reference photos for the more unusual requests we get at busy jobs and wherever possible I check wifi access at bookings before I start so, if time permits, I can look up anything I’m asked for that I’m not familiar with. Thought I’d share some examples with you of images that have inspired some of my more recent designs. Excepting an occasional “light bulb” moment, I have recently hit a bit of a brick wall with my own work – a sort of plateau where I feel stuck in an artistic rut – churning out variations of the same designs over and over; not having time to experiment with really new fresh options. I am regularly reassured by the whoops of delight from the children and parents during their mirror moments that I am still managing to deliver what I need to for my customers but I feel the need to challenge myself and have a monstrous, fat, hairy, audacious action point on my to do list (some of my old Prudential colleagues will recognise that reference!) to come up with a whole new portfolio of designs! I want a new tiger, a new fairy, a new princess, a new pirate … a new EVERYTHING. 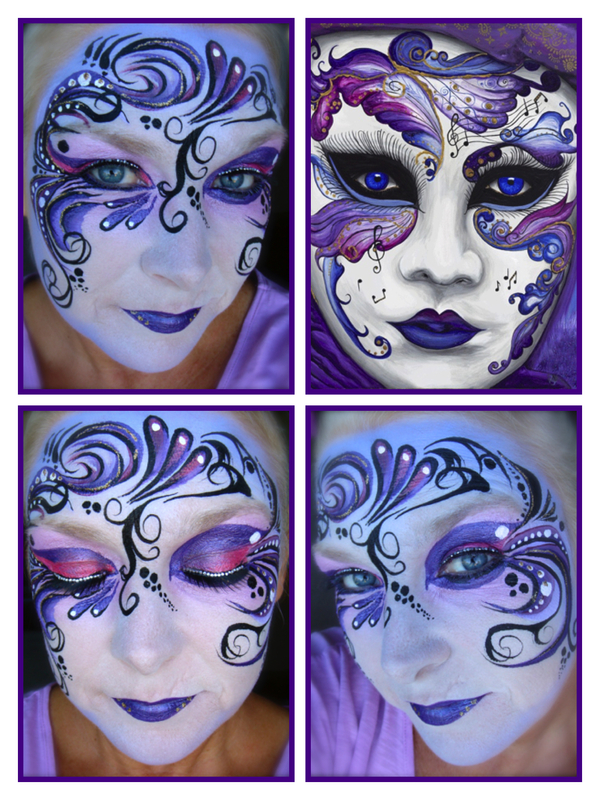 Not an easy task but I would LOVE to come up with a profusion of fresh, original designs that are fast but effective! I thought by putting this in my blog it’ll commit me to delivering on this goal and whilst I’m not going to give myself a finite deadline, it will be a continuing work in progress and I’ll keep you all posted as things develop! So enough blogging for now – I’m off to lose myself on my iPad in the deepest darkest artistic corners of Pinterest, Google images Getty Images and anywhere else they may lead me! Friday Favourites – FULL CIRCLE! 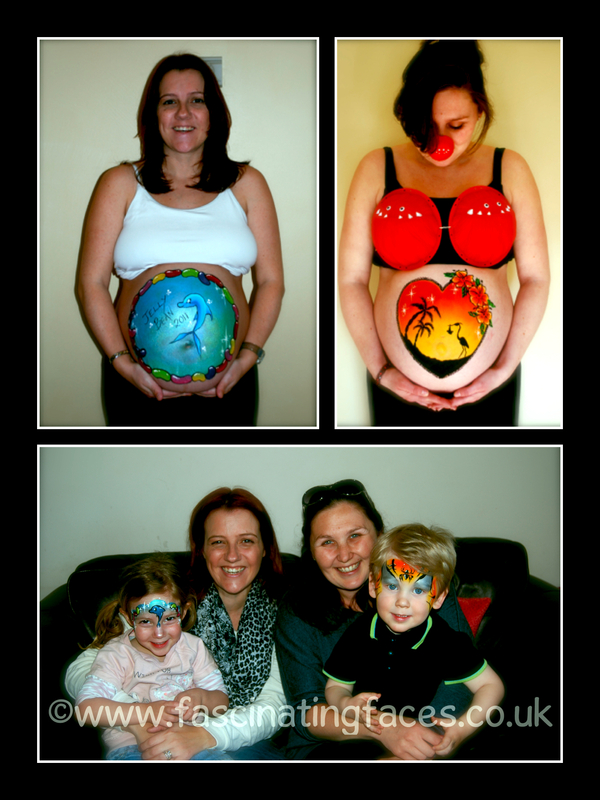 Bump Art is one of those “Marmite” ideas! You love it or hate it! For me it’s one of my FAVOURITE areas of my work! I remember my own pregnancy with such fondness and I am thrilled whenever I am invited to share some precious hours with new mums-to-be and help them create a particularly special and fun memory of their treasured time. In 2011 we appeared on the BBC for Comic Relief painting bumps for Red Nose Day. As part of a UK wide team, we raised nearly £8,000 for this worthy cause and had a lot of fun in the process! Sarah and Katy were two of my beautiful models who have since become my friends too! Today, three years on (and coincidentally the start of Sport Relief weekend) I met up with Sarah and Katy again with their “babies” to celebrate their third birthdays! They were both absolute angels but just as wriggly in real life as they were as bumps!!! The children that is, not the Mums! So for this week’s Friday Favourites I wanted to share this fun area of my work with you with the help of two very cute models! 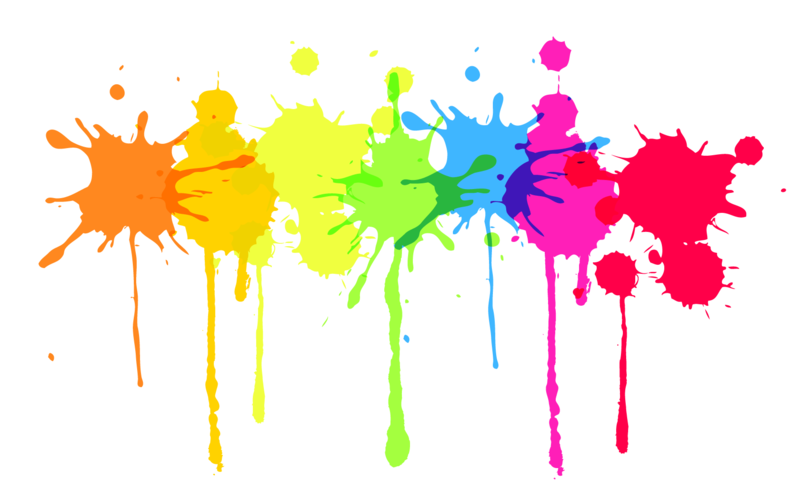 If you would like to book a Bump Art experience for yourself or as a gift for a loved one then please take a look at our website to find details of a special offer we have available currently in partnership with Lovelight Photography in Pirbright, Surrey. 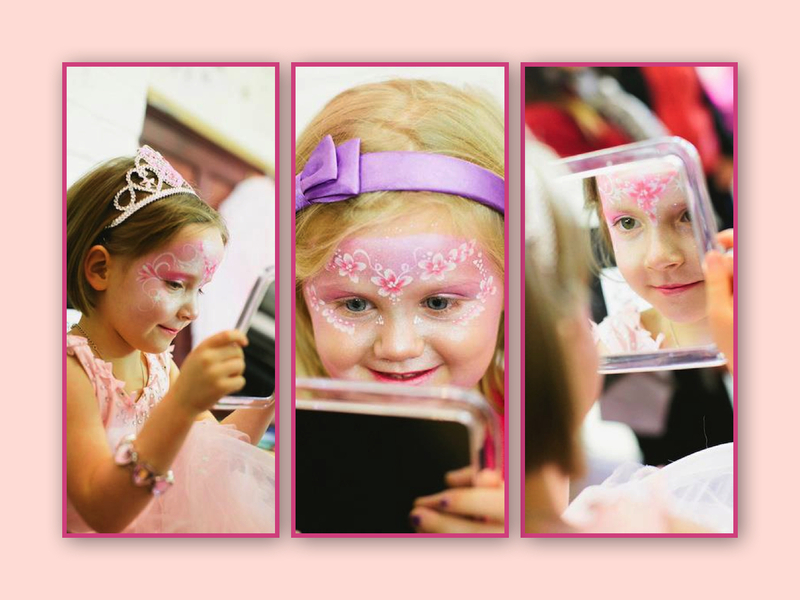 Please click on this link Lovelight Showreel to have a peek at some previous shoots! And one last bit of fun …. 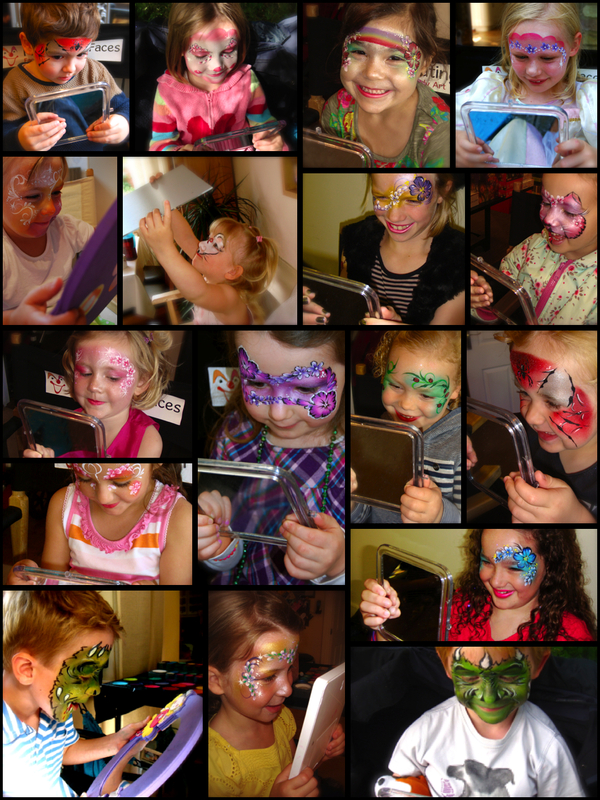 I recently felt the “OCD” need to clear out some of my 24,000 photos on my hard drive and came across a load of images of when I first discovered the magical world of face painting. So, after some onerous pontificating and as we approach the end of my 6th year in business, I thought I’d be brave and share them with you! 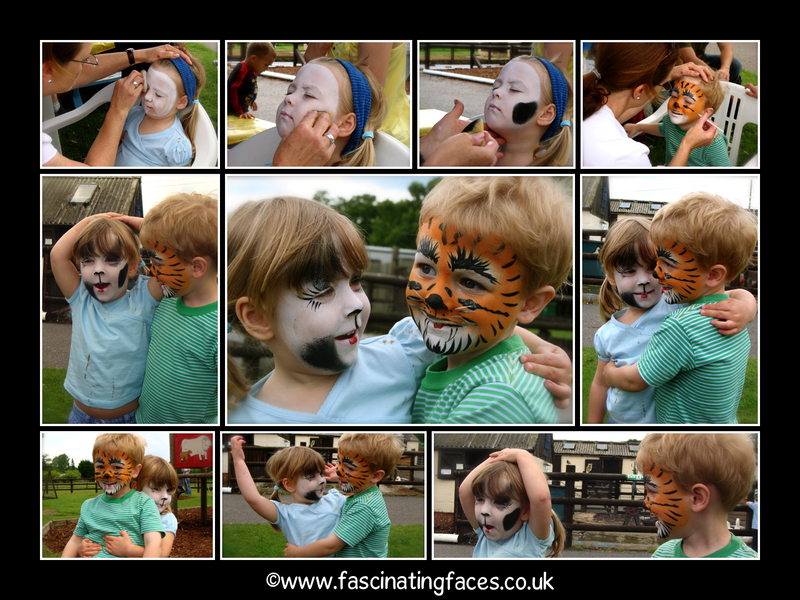 Allow me to take you back to the spring of 2007 – a visit with friends to a local bird sanctuary, Birdworld in Farnham, and my daughter and her best buddy had their first experience of facepainting! We queued rather tentatively for some time, as is the norm at these places; the children totally mesmerised and hardly uttering a word as they watched the lady at work. We finally reached the front of the queue and my beautiful, pretty, girly, “pink in every way” daughter asked to be … “a COW”! 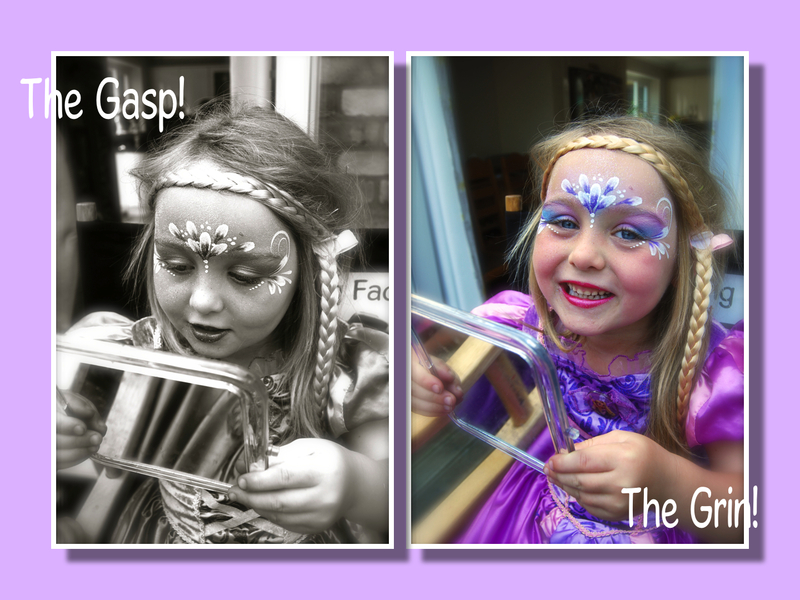 All my coercing towards the butterfly and princess photos on display fell on deaf ears and a cow she was going to be! 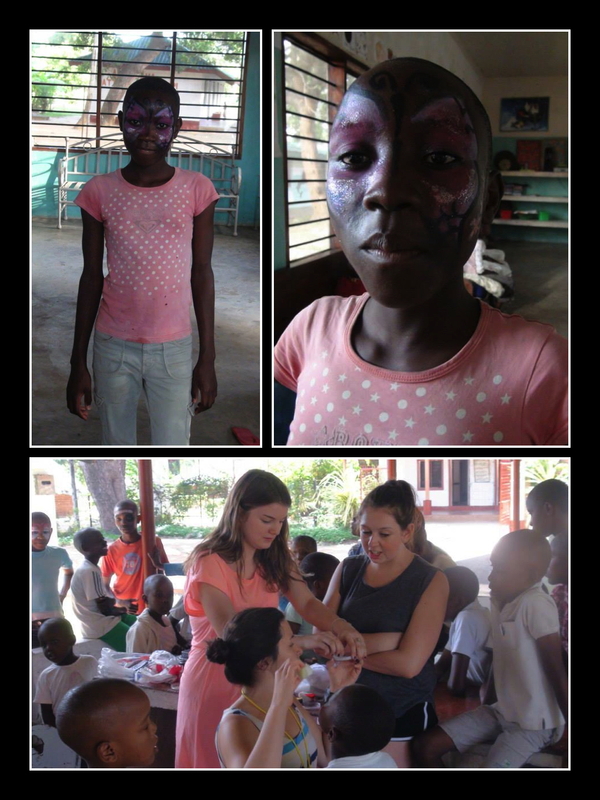 I gulped, as a lump lodged in my throat, watching the intense concentration on her face as she tried so hard to keep still for the face painter. 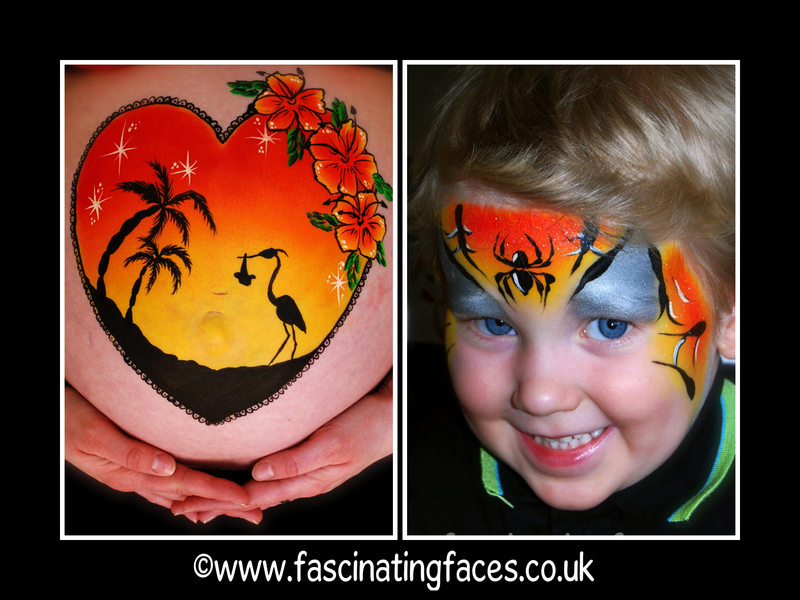 The idea for Fascinating Faces was created just a few months after! 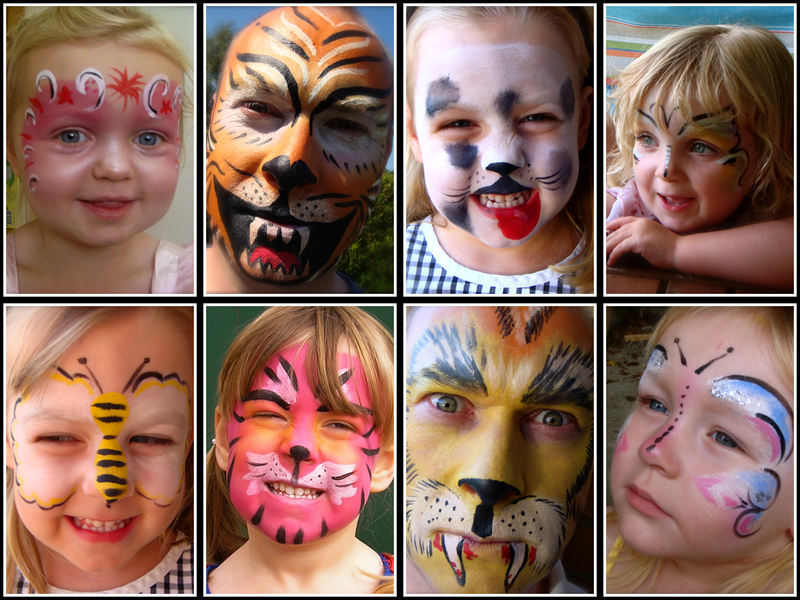 It was a beginning that many professional face painters will relate to – I picked up a cheap set of paints and decided to just “have a go”. 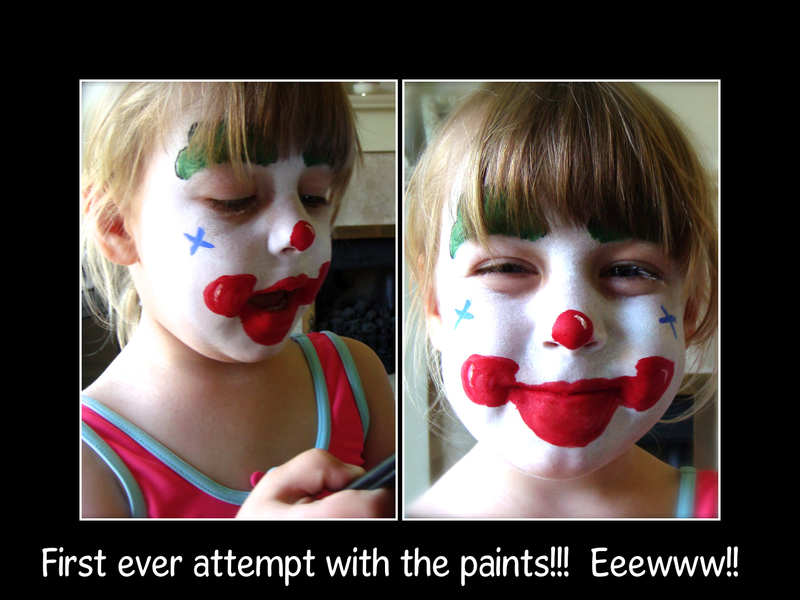 I got hold of the usual beginners books and set to work on both daughter and husband; my very first attempt being a CLOWN. That face was to prove rather significant in the months and years to follow! By then I was hooked and as they say, the rest is history! 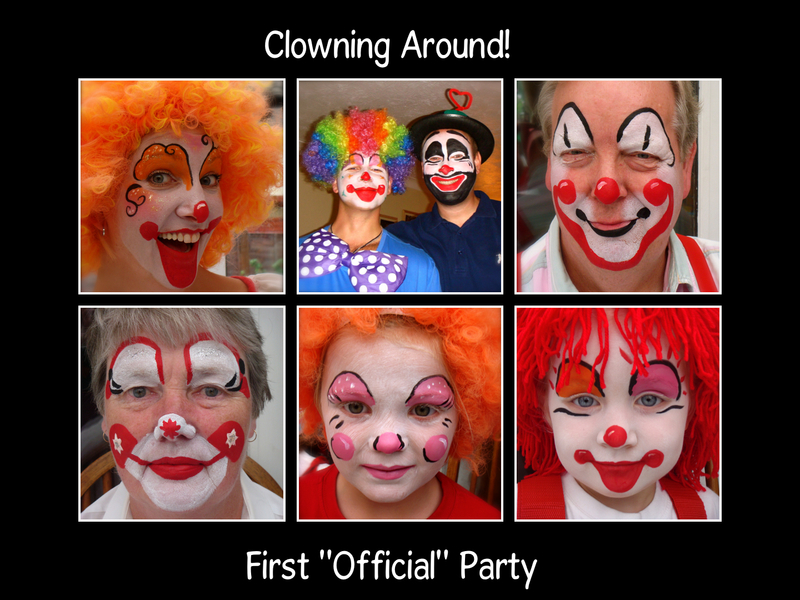 My first “official” party had a circus theme and was held 120 miles away in Somerset by my daughter’s Godmother, Sophie, and good friend of mine since the age of 4. 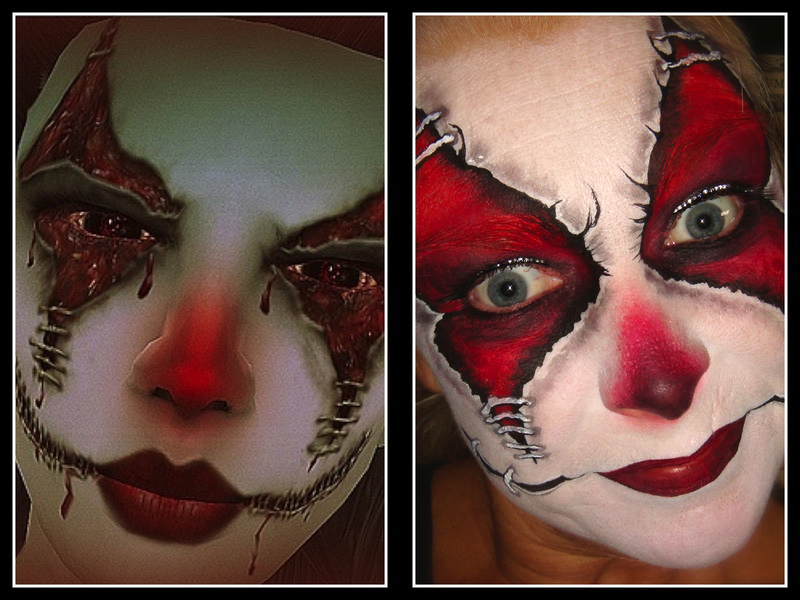 The nerves kicked in big time and I spent hours surfing the net for clown face ideas, techniques for sponging and brushwork and attempting to buy the best paints I could for the job. It was way back then that I discovered the virtues of Grimas cake white and I’ve never been without it since! With shaking hands and my heart pounding I set to work on Sophie and her daughter followed by Daddy, Granny, Granddad and the Godparents!!! They had all gone to town with their costumes and within no time the house was filled with white faces, red noses and crazy wigs and that was before any of the guests arrived!!! 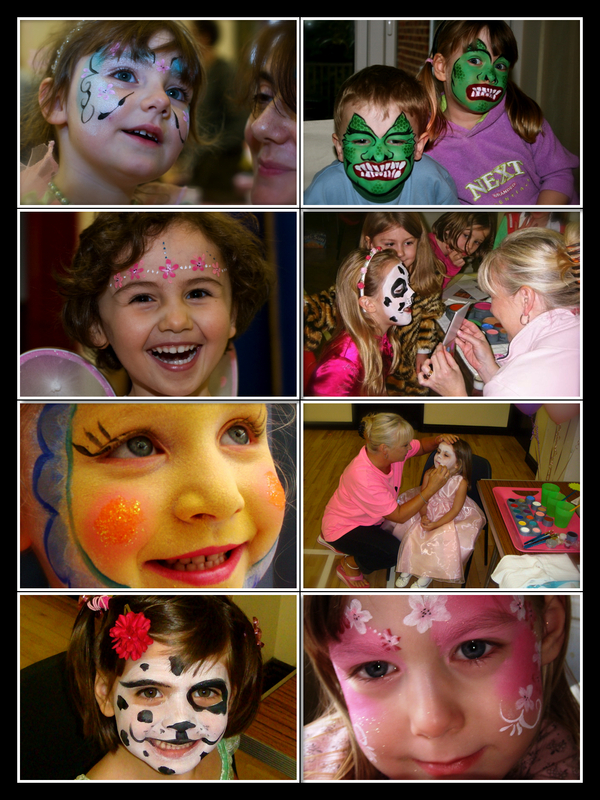 I was then joined, somewhat surreally, by the lady who is the voice of Bella in the Tweenies and between us we painted our way through 15 more mini clowns and the party was complete …. all except me …. after all the nerves and excitement I ran out of time to paint myself! 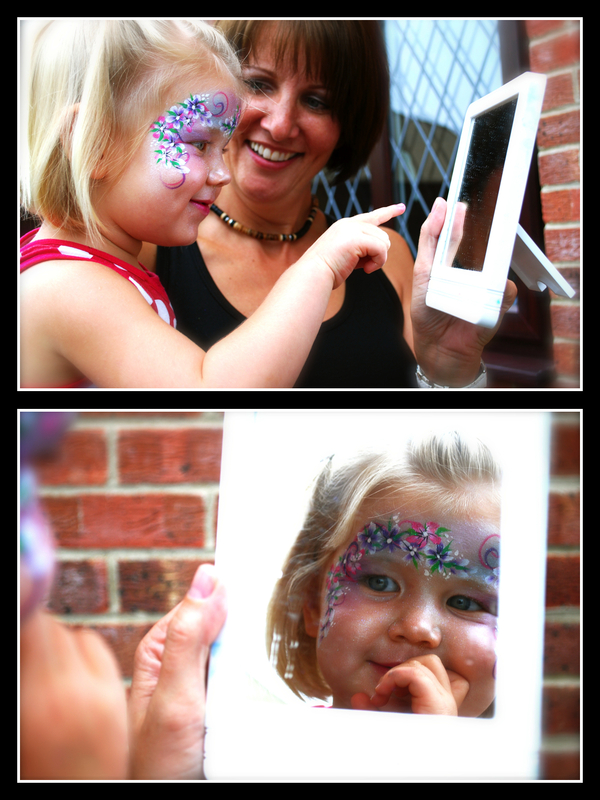 At the party two photos were taken of Sophie and Ellie Mae that have remained as a constant in my portfolio ever since! 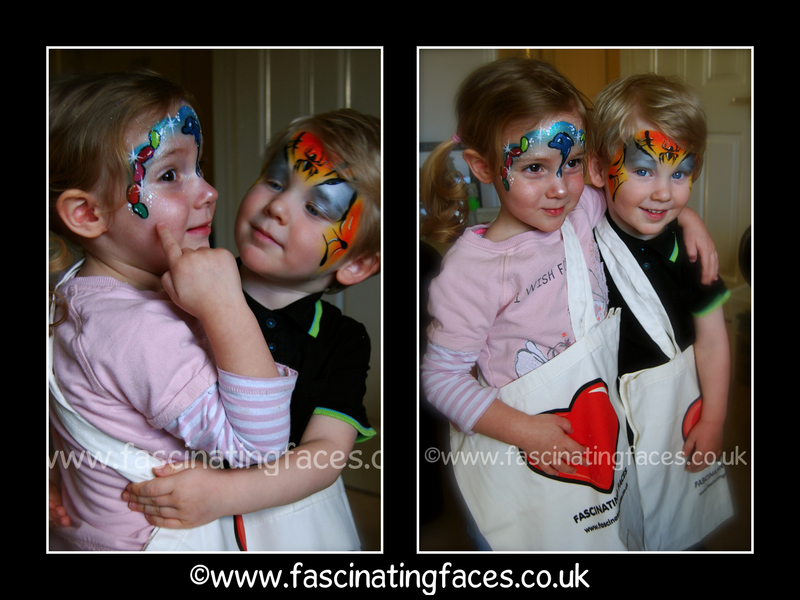 They were just so smiley and cute and summed up the atmosphere of the party and my initiation into the facepainting industry as a professional!!! 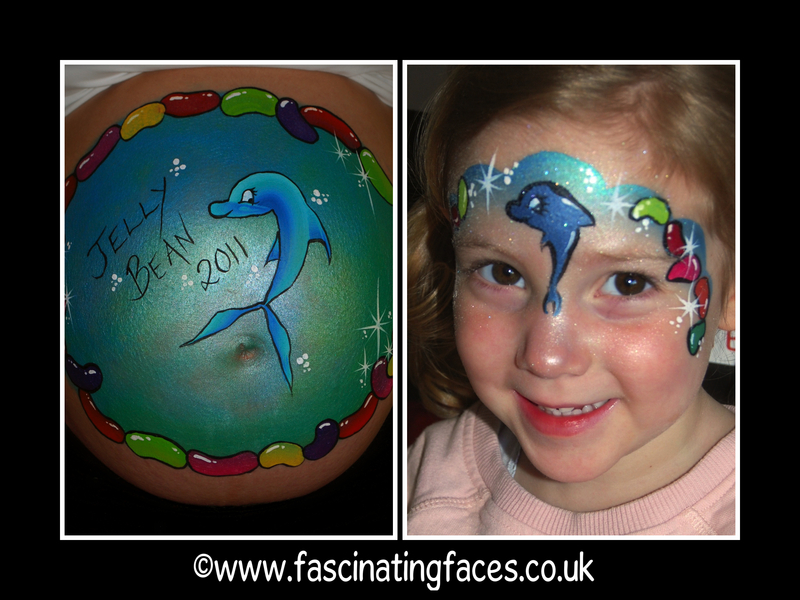 Five years on I had an opportunity to recreate that magical day and painted Sophie and Ellie once again! 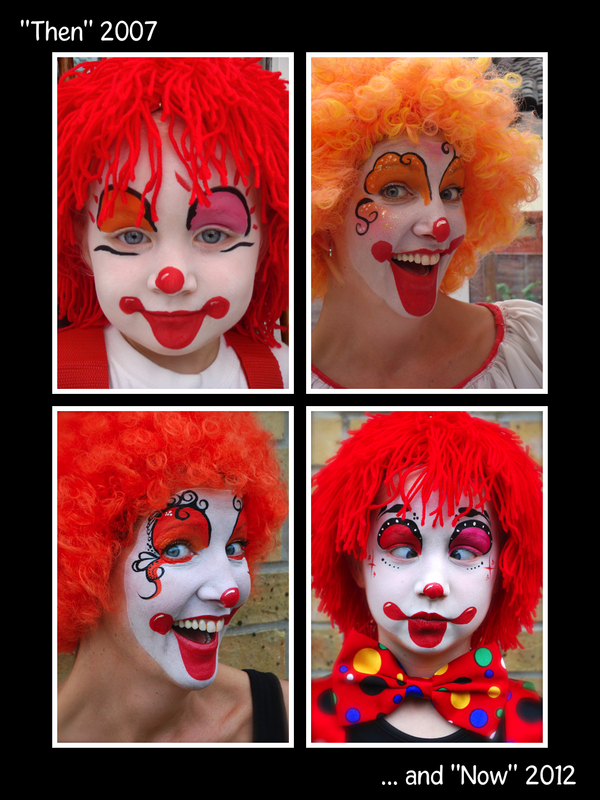 Clowns have been an underlying (and unrealised) influence since my childhood love of Pierrot and they now represent a very important part of my life – my business – something I’m extremely proud of. 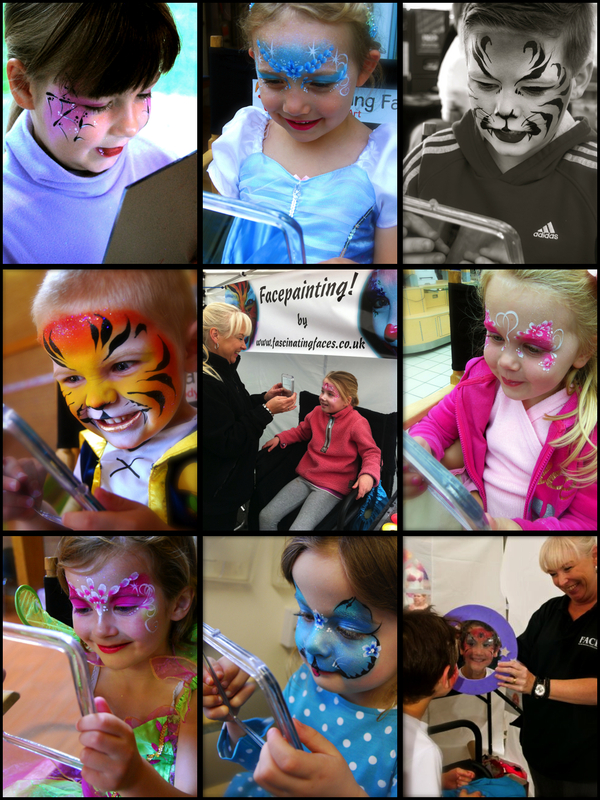 It has given me an opportunity to combine my two passions, art and children within an industry that has allowed me to use my business and creative skills to the max without compromising my most important role in life – being a mum! It has also introduced me to some incredibly talented people who I am now proud to call my friends. I’m now going to brave sharing with you some photos that illustrate my journey in the early days and would invite you to check out my current website gallery to see the progress that is possible as a result of an investment in training; hours of practice and the support and guidance of some amazing people in this industry. 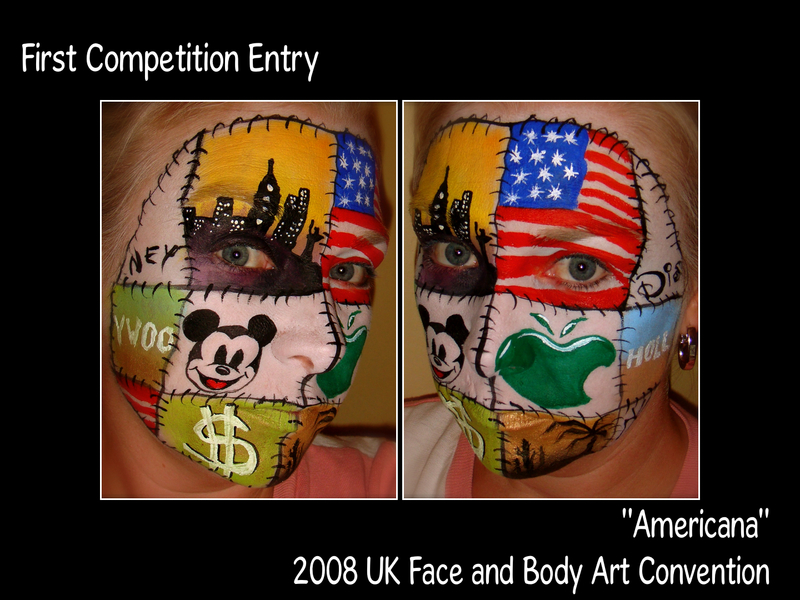 In 2008 I plucked up the courage to enter a competition! Ended up being put in the “Intermediate” category by mistake after applying as a “Beginner”! Didn’t get placed but was proud to see my work on display! 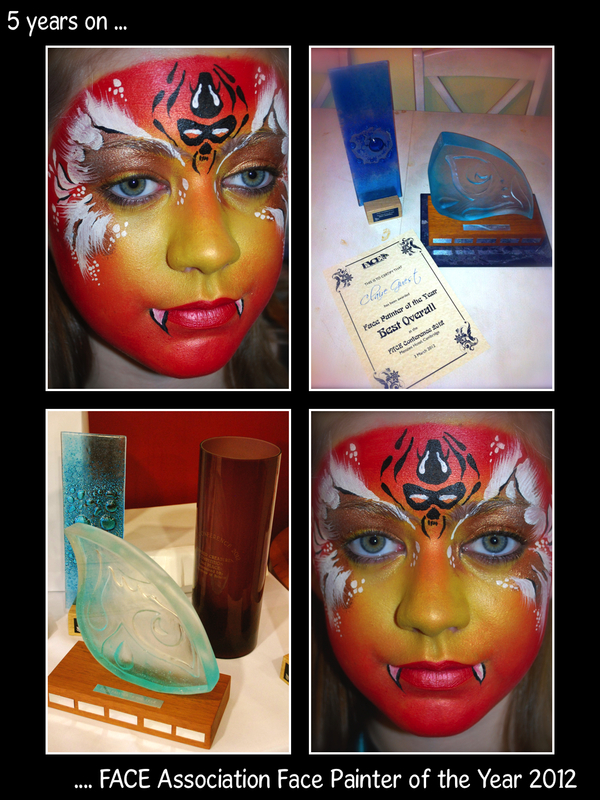 And just a few years later something happened that in 2007 I couldn’t have imagined in my wildest dreams ….. the theme was “Heaven and Hell” and the live competition was “Face Painter of the Year”. For oh tonight it’s Halloween! It may be pouring outside but thought our new showreel would keep you all smiling! Woking Hospice is a place that is very dear to my family. The team there have cared for two of our good friends in recent years and helped their families cope with the heartbreaking loss of their loved ones. I have been so impressed by the counselling that is provided for the bereaved children particularly by a rather charming lady, Julie Cole, Children’s Services Manager. 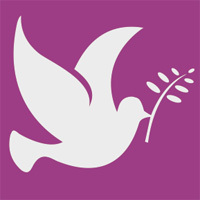 Several years ago, a specialist counselling group was set up by the hospice in memory of a young man (and friend of my stepson) called Tom Di Felice who was tragically killed in a road accident on 15/12/2009 – he was 17 years old. Through tireless fund raising by Tom’s family and friends, the “Tommy D Project” was launched. The group is there to help young teenagers, who have lost someone close to them, through their bereavement. I had the great pleasure of meeting Julie last year and was in awe of the work she does with this group and the “Footsteps” group for the younger children too. 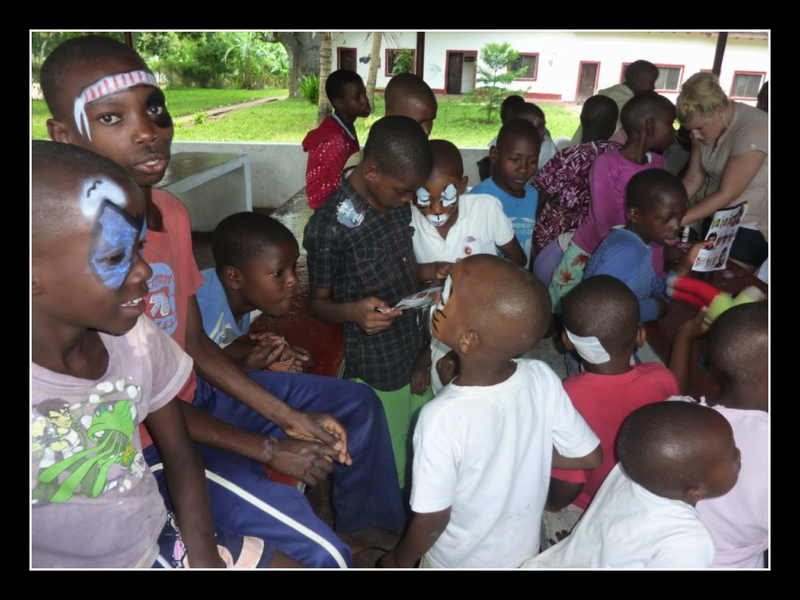 In 2012, Julie had the idea to plan a trip to Kenya to take the Tommy D group to volunteer at The Children of the Rising Sun Orphanage in Malindi, Kenya, which is home to 60 orphaned and abandoned children. Each member of the group had to fund raise to cover their £2,000 travel costs. Endless car boot sales, car washes, quiz nights, mufti days, sponsored walks etc followed as they all worked hard towards their targets. 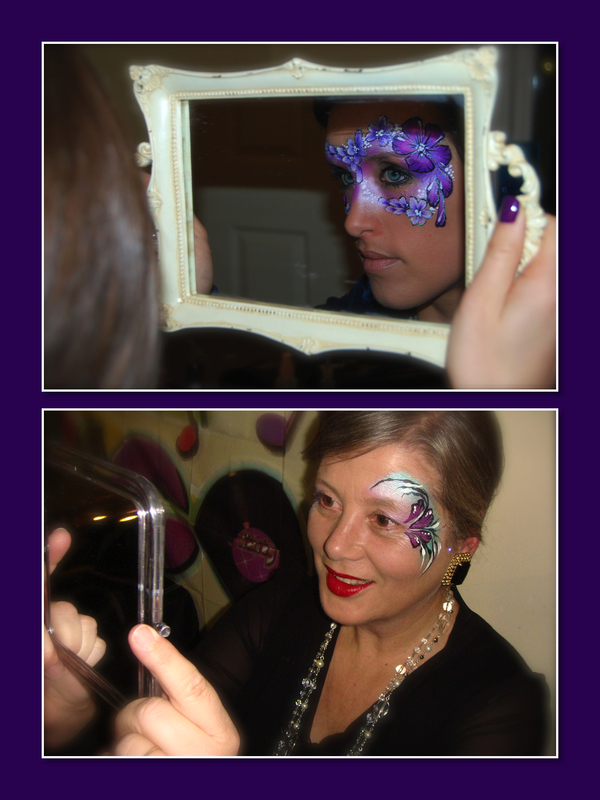 Following a fund raising event I organised for the hospice in August last year, I was invited to meet the team and offer some basic face painting training to give them the skills to offer the service at various events to help add to their fund raising efforts. One sunny but chilly day in Woking in October we spent several hours spreading paint; glitter and smiles around the room; set them up with some mini kits and sent them on their way to raise valuable funds. 12 months on and I received the most wonderful email in my inbox. 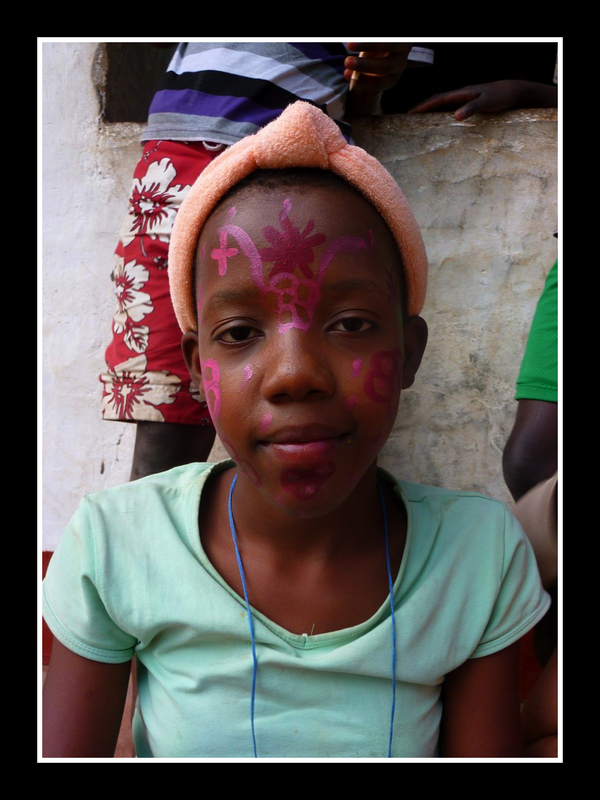 A message from my young friend Megan, just back from Kenya, full of emotion and excitement about her trip and attaching photographs that made me shed a few tears. 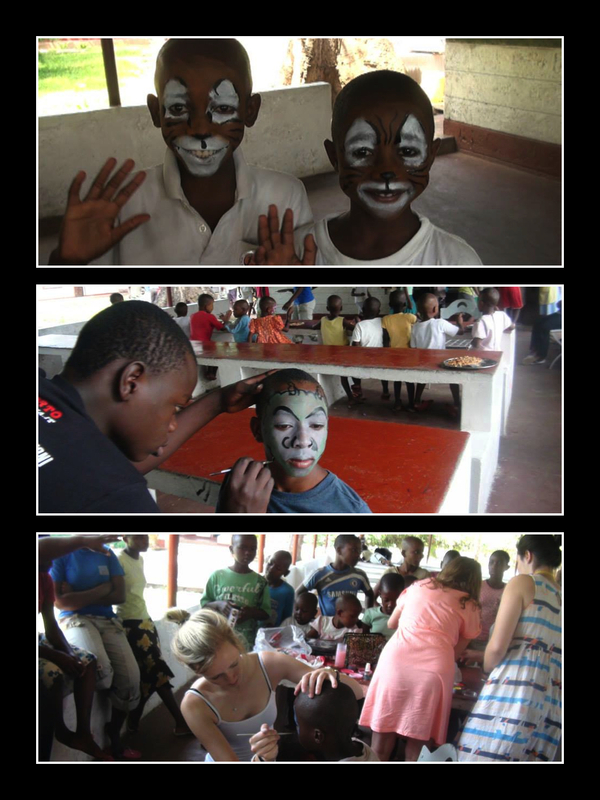 The teenagers had all taken their face paints to Kenya with them and had had an opportunity to paint the orphans who had never experienced face painting in their lives. Total respect to Julie Cole, Kate Whyatt, Nick Di Felice, Lisa Jones, Megan Lowe, Joe Plume, Liam Grant, Andrew Baynham, Francesca Sleet, Rafaella Barratt, Lucy Braithwaite and Robin Guy who made up the team. Most importantly, the kids self confidence grew, and they pushed themselves to limits they didn’t know they had! FUN FACT!! – as a group they lost 71 lbs in weight! Result! Wish I’d joined them! The team hope to return next year, with some possible new Tommy D members who have joined in recent months as well as those from the previous trip! If anyone would like to help by contributing to next years funds, they should specify, Tommy D, or Tommy D Kenya when donating. See links below. To read more about their adventures please click here. 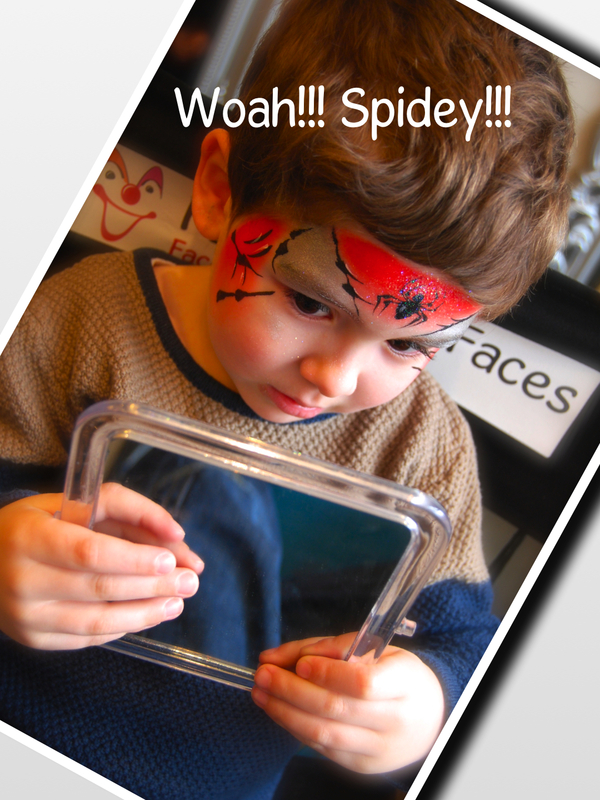 Special “mirror moments” are what makes every face painter’s day! Thought I’d share a few of mine with you together with a little ditty I wrote some time back for Face to Face Magazine! Pirate? Princess? Tiger or Clown? Open your eyes and see what you’ve become …. A slight intake of breath then the smile appears! Unforgettable sights for all to see. 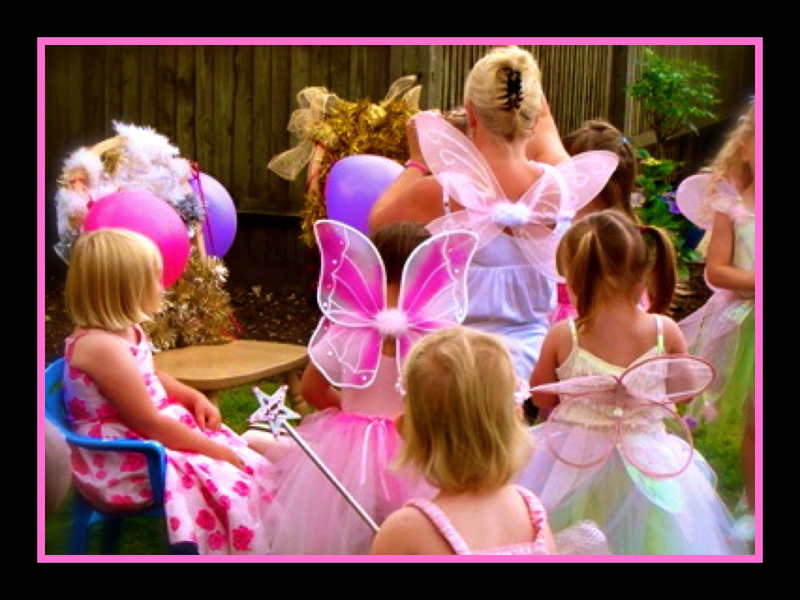 Take a peek at our work ..